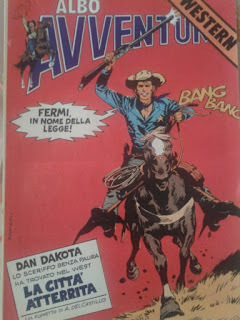 Dan Dakota (aka Lone Gun) was a western hero found first appearing in Ranger magazine issue #25 published by Fleetway. He was the creation of Arturo Del Castillo and appeared in 11 issues. 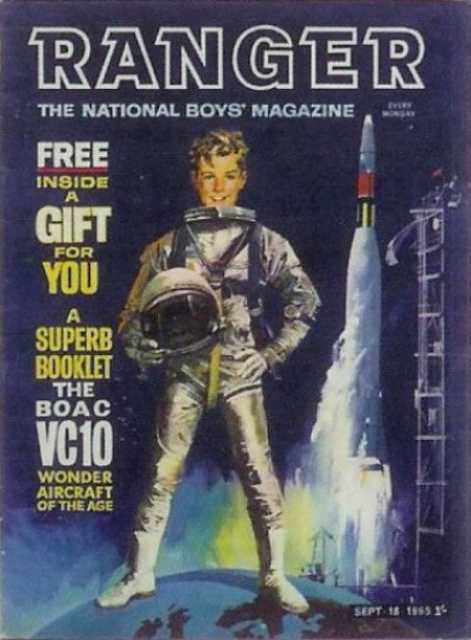 Ranger was a British comic book magazine, with occasional printed stories, published by Fleetway Publications for 40 un-numbered issues between 18 September 1965 and 18 June 1966. The title was then incorporated into Look and Learn from issue 232, dated 25 June 1966. The title was created by Leonard Matthews but edited by John Sanders, with Ken Roscoe as assistant editor and Colin Parker as art editor. Dan Dakota would later be reprinted in the Italian magazine Albo Avventur. 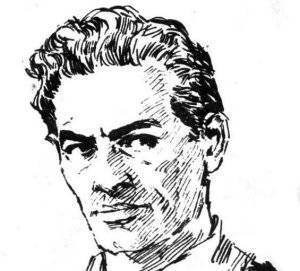 Arturo Pérez Del Castillo was born in Concepcion, Chile on August 24, 1925. He started working for an advertising agency, but eventually joined his brother Jorge Perez del Castillo in Buenos Aires, Argentina, in 1948. He got a job as a letterer and illustrator with Editorial Columba and its magazine Aventuras, and remained affiliated with the publisher until the mid 1950s. He did his first work for for the comic weekly Aventuras, and a year later, he also created comic strips for the magazines Intervalo and El Tony. He quickly became famous for his skillful and detailed penwork, mainly for western comics. Del Castillo's most famous work is the Hector Oesterheld scripted 'Randall: the Killer' series, that commenced publication in Hora Cero in 1957. Del Castillo refined his graphic style even further and other important works followed. He joined the Italian agency of Rinaldo Dami and from the late 1950s throughout the 1960s. He mainly worked for the British publisher Fleetway, starting with a number of comic strip adaptations of Alexandre Dumas novels, including 'The Three Musketeers' and 'The Man in the Iron Mask'. Also for Britian, he drew western stories in Top Spot ('Ringo') and Ranger ('Dan Dakota - Lone Gun') and also for the Cowboy Picture Library. 'Ringo' was one of his longest running serials, that he created in cooperation with Oesterheld between 1968 and 1974. His western stories also appeared in France in the pocket-sized comic books published by Arédit and Sagédition, and in Holland in the comic magazine Sjors. Also through Dami was the western series 'Garret' with scriptwriter Ray Collins (Eugenio Zappietro), that was published in Argentina in Misterix by Editorial Abril in 1962. 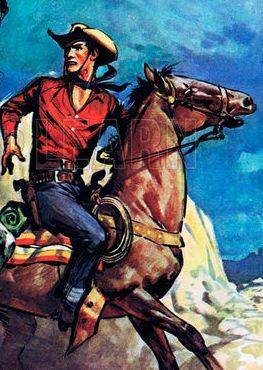 Other westerns were 'Ralph Kendall', 'Larrigan' and 'Los tres Mosqueteros en El Oeste', that were published in Italian magazines like Corriere dei Piccoli. In the second half of the 1970s, Del Castillo was present in the Argentine magazine Skorpio by Editorial Record with his series 'El Cobra' (a restart of 'Garret') and 'Loco Sexton', the latter again with Oesterheld. Additionally, he made short-lived series or oneshot stories with writers like Alfredo Grassi, Guillermo Saccomano ('Comanchero'), Walter Slavich ('Bannof') and Mazzitelli. He worked for the publications of Editorial Columba, such as El Tony, D'Artagnan and Fantasía, until his retirement in 1989. Among his new creations were 'Bannister' with Ray Collins in El Tony in 1981. Arturo Del Castillo died in Buenos Aires on December 5, 1992.